Virginia is a senior consultant with experience in Australia, the United States and the UK. She is an avid researcher, whose structured approach to problem solving and strong stakeholder engagement skills help quickly identify key opportunities and underlying issues. Developed a series of workshops to co-design employment pathways for traditionally disadvantaged job-seekers between employment and community services providers. Prior to joining Nous, Virginia led projects for private and public sector clients. These include developing the international expansion strategy for a technology start-up, providing strategic advice to a ‘Group of Eight’ university on facilitating their entrepreneurship and innovation ecosystem, managing online fan engagement and merchandising solutions for professional and college sports teams in America, and developing communication and thought leadership strategies for telecommunications companies and advertising agencies. 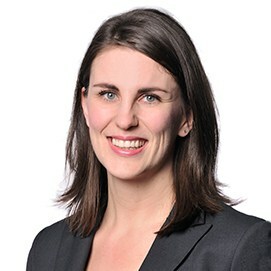 Virginia holds a Bachelor of Arts (Honours in psychology) from Duke University and a Master of Business Administration from The Australian Graduate School of Management at The University of NSW, where she also completed the International Exchange Program at London Business School. Virginia enjoys exploring all that Australia has to offer, particularly the beaches and cafes.